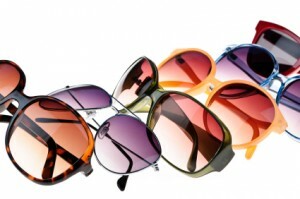 There are many reasons why Parrelli Optical is the best source for prescription sunglasses in and around Medford, MA. We strive to be your all-in-one eye care destination, which means that from your eye appointment until you pick up your sunglasses, we will provide the utmost in customer service and expertise. Not only do we offer an extensive selection of sunglasses frames and lenses, but our staff is trained to be knowledgeable in all of our products. Before you invest in a high-quality pair of prescription sunglasses from our Medford area shop, we will work with you to determine the best type of sunglasses for you. We can offer advice on the ideal level of darkness for your new sunglasses, and we’ll help you find the best frame shape to flatter your face shape. We’ll walk you through the process of choosing sunglasses, from frame to selecting just the right level of tint for your needs. Finally, when your glasses are done, we’ll help adjust the frame so that your new sunglasses sit evenly, comfortably and securely through all of your activities. At Parrelli Optical, we are experts in eye wear. Because of this, we are confident that we can work with you to find your perfect pair of prescription sunglasses for all your Medford activities and needs.